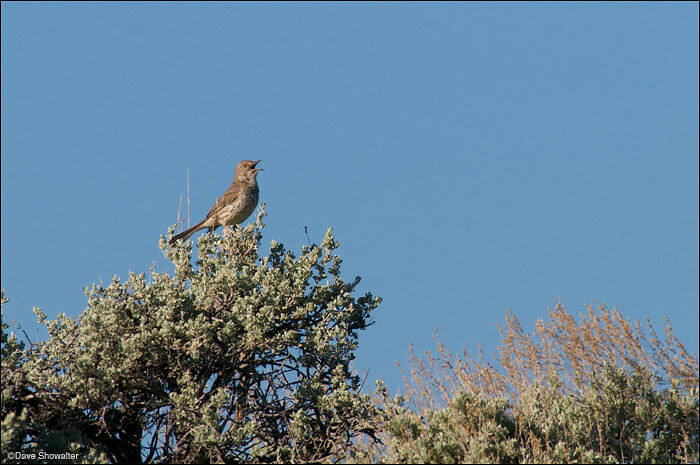 From high on his sagebrush perch, a sage thrasher sings his unmistakable song. Sage thrashers are sagebrush obligates in decline. Audubon Rockies bioblitz event at Soda Lake Wildlife Management Area on June 23, 2012. Photo © copyright by Dave Showalter.